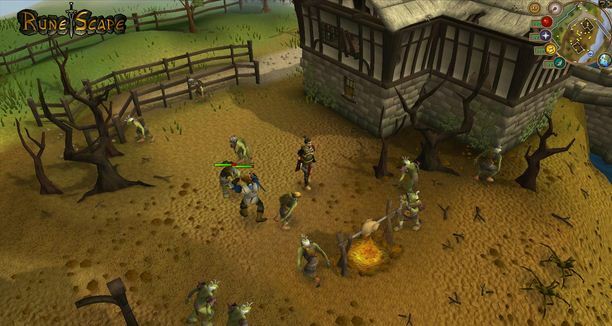 We would like to share a wonderful RS guide which is for the merchanting in runescape. After you read this article, you will be good at merchanting when you play in Runescape. This runescape merchanting guide is different. We’ll save you the hours of meaningless reading and tell you what they say: “buy low, sell high.” According to them you should now be fully equipped to merchant and become fabulously rich. Ready, set, go! As we know, A lot of runescape merchanting guides have been written over the last couple of years and an equal amount proclaim to posess the secrets to eternal life, fame, and prosperity. Rare items such as party hats, Halloween masks and Santa hats have appeal because they are only available in a finite quantity. These items disappear every day as more players lose them and retire from playing. New items are good for short-term trades because finding a true price on the Grand Exchange takes a while. Also, merchants can easily sell new items for Runescape gold at a premium to players who want to have the latest thing. If merchants are working together to drive up the price of an item, don’t buy in unless the items has skilling value or value as a weapon or armor. Only trade speculative items for the short term, because many people will jump in and drive up profits, but the price fall when everyone sells will be precipitous. If you want to know more information about runescape guide, please keep checking our news update and we will bring you guys more and more useful RS guide.